as a sign of the growing importance of the Latino voter, much of the argument has focused on the Clean Power Plan’s impact on the Latino community. Opponents of the plan make a case that Latino households will be especially negatively impacted by a possible increase in the cost of electric power. Meanwhile, supporters of the EPA Clean Power Plan say Latinos, particularly in Texas, have the most to gain from the climate changing fighting policy. Two months ago the EPA announced a major step forward in addressing air quality concerns and climate change with the Clean Power Plan. 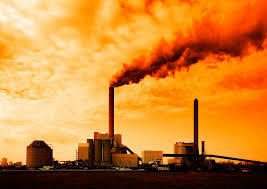 It established the first ever national limits on carbon pollution from power plants. Critics such as Governor Greg Abbott and Attorney General Ken Paxton have attacked the plan as unworkable and too big a burden on the economy. In addition, as a sign of the growing importance of the Latino voter, much of the argument has focused on the Clean Power Plan’s impact on the Latino community. Opponents of the plan make a case that Latino households will be especially negatively impacted by a possible increase in the cost of electric power. Meanwhile, supporters of the EPA Clean Power Plan sayLatinos, particularly in Texas, have the most to gain from the climate changing fighting policy. Lucía Olivia Hennelly is the National Campaign Director for the Environmental Defense Fund. She is defending the Environmental Protection Agency’s the Clean Power Plan, which establishes the first-ever limits on carbon pollution from existing power plants in the United States.